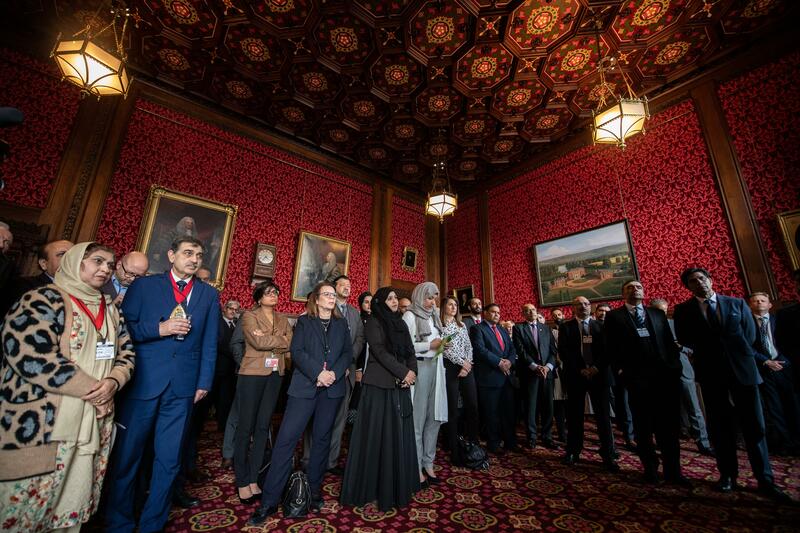 Senior figures from across political parties, faith groups and civil society gathered in Parliament last night (April 3) to commemorate the memory of the Christchurch massacre’s fifty victims, and affirm their commitment to tackling Islamophobia. The gathering heard from Labour leader Jeremy Corbyn and Conservative communities secretary James Brokenshire, hosted by Dominic Grieve, and attended by a broad range of MPs, Lords and shadow ministers including Shami Chakrabarti and Diane Abbott. A moving address was given by Sir Jeremy Mateparae, New Zealand’s High Commissioner to the UK, who told listeners, “Our Muslim communities are our family, our friends, our colleagues. They are us. The terrorist attack in Christchurch was an attack on our values. An attack on one of our communities is an attack on us all.” He closed with a heartfelt and spontaneous rendition of a traditional New Zealand song. A wide group of religious figures were present. Rabbi Laura Janner-Klausner, senior rabbi to Reform Judaism, told Muslims that “the Jewish community understands your fear and pain and is staunchly by your side.” She added that Muslims and Jews have a shared history of being targets of bigotry, and should also be willing to engage in open and difficult conversations in a spirit of understanding and solidarity. Attendees also signed a condolences book, which will be delivered to the New Zealand High Commissioner. Business figures and the ambassadors of nations including Turkey and Qatar also attended. He said that the UK should learn from the New Zealand response whilst reinvigorating its own grassroots anti-racist tradition, from resistance to fascism at Cable Street to the anti-apartheid movement.